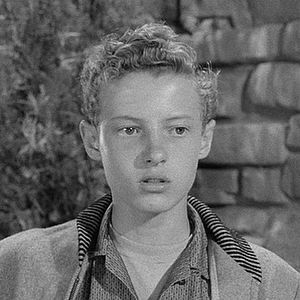 One of the memorable characters from the old days of television was Eddie Haskell of “Leave it to Beaver.” President Trump no doubt remembers him. Haskell was sycophantically respectful toward parents to their faces, but always plotted and schemed when their backs were turned. To a generation, Haskell symbolized hypocrisy of the most annoying kind. Trump’s address Tuesday was the Eddie Haskell State of the Union — although Haskell’s performances were more artful because he only turned nasty when the elders weren’t looking. In Trump’s case, his two-faced politics was on display in the very same oration that went on and on and on. For one thing, he could not even refer to his opposition by the name they choose for themselves. He insisted on referring to the Democratic agenda as a “Democrat agenda,” — the most tired of McCarthy-era rhetorical tricks. It’s just not cool to throw gratuitous insults at the people you say you want to work with. He told us that “one in three women is sexually assaulted on the long journey north” and that “thousands of young girls and women” are sold “into prostitution and modern-day slavery.” But he offered not a single nod to the traditional value of not separating children from their parents when they arrive at our borders. There was also a mind-boggling moment of perverse Marxism: “Wealthy politicians and donors push for open borders while living their lives behind walls and gates and guards.” (Never mind that his tax cuts might have helped them pay for those things.) Perhaps Trump’s effort to build great fortifications at the border is an ultra-liberal wall redistribution program. So there you have it in one place: (1) Investigations are as bad as wars; (2) all investigations are “ridiculous partisan investigations”; and (3) if the economy tanks, it’s because Democrats are investigating him. Oh, and between the lines, beware of all the socialist Democrats who are trying to take him down. “America will never be a socialist country,” he promised. Take that, Sweden and Norway! The Democratic response to Trump from Stacey Abrams, the Democratic nominee for governor of Georgia last year, won unusually good reviews for speeches of its genre, partly because it was blessedly compact compared with the president’s sprawling, undisciplined jumble. Abrams said what she meant and did not pretend that we were about to enter a fantasyland of miraculously dissolving party differences. Rat-a-tat-tat, she catalogued the issues her party wanted to bring to the fore: the foolishness of Trump’s shutdown, gun safety, student loans, voting rights, the GOP’s reactionary tax bill, farmers caught in a trade war, protecting the Affordable Care Act, climate change, LGBTQ rights.